A senior Russian diplomat has confirmed that preparations are under way for a summit between President Vladimir Putin and North Korean leader Kim Jong-un, a top Seoul official has said. South Korea's Vice Foreign Minister Cho Hyun told reporters Monday that his Russian counterpart, Vladimir Titov, reiterated the Kremlin's earlier announcement that Moscow has long been preparing for the first summit between the two leaders. Cho and Titov held the seventh session of their countries' high-level strategic diplomatic dialogue in Moscow to discuss a range of bilateral issues, including ongoing peace efforts on the divided peninsula. Before their meeting, Kremlin spokesman Dmitry Peskov said that there have been preparations for what would be the first summit between Putin and Kim, though he did not offer any details. "We will let you know when (details about) the time and venue for the summit have become finally clear," the spokesman told reporters. Speculation has been rising that Putin could meet Kim in the Far Eastern region, likely Vladivostok, next week before he attends an international forum in Beijing from April 26-29. The forum is about Beijing's "One Belt One Road" initiative, a grand geopolitical strategy to connect China with Southeast Asia, Central Asia, Europe and Africa through "land and maritime silk roads." The talk of the possible Putin-Kim meeting comes as Pyongyang, intent on developing its moribund economy, appears increasingly frustrated over a lack of progress in its efforts to secure sanctions relief in nuclear negotiations with Washington. Observers say that Kim may seek to strengthen diplomatic cooperation with Russia and China to loosen the international sanctions regime. When asked about the possibility of a summit between Kim and Putin, the North's Ambassador to Russia Kim Hyong-jun declined to comment at an international airport in Beijing on his way to Moscow after attending a key parliamentary meeting in Pyongyang last week. 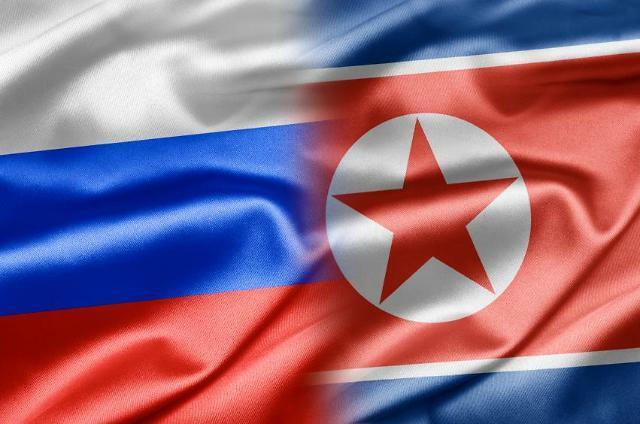 Commenting on his talks with Titov, Vice Minister Cho said that Russia voiced its willingness to play an active role in response to his call for Moscow's continued cooperation in Seoul's efforts for the denuclearization and a lasting peace on the peninsula. The two sides also shared the view that the Hanoi summit in February between US President Donald Trump and Kim was not a failure, while noting the need to use the summit to move forward denuclearization negotiations.